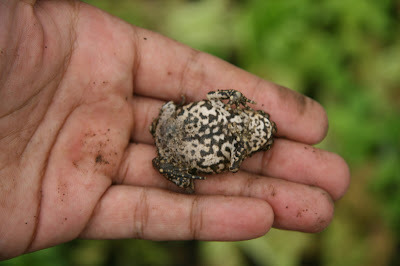 First of all, this is not a frog, this is a toad. I've tried this with toads of different sizes. When you put them up-side-down on top of your palm or on a soft, smooth surface, they just lay still. And when you tickle the side of their stomach, they make a laughing sound. Maybe they really are laughing. Oh! One more thing! 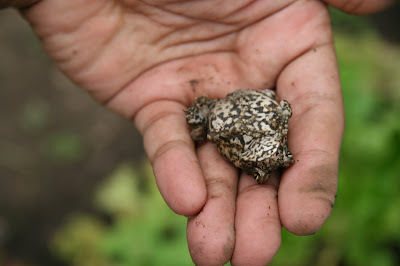 Toad piss don't cause warts. If it does, my hands would look like a toads back by now.